Rail travellers passing through Aberdeen, Haymarket, Kilmarnock and Inverness stations on 16 October will have the opportunity to learn CPR (Cardiopulmonary Resuscitation) as part of European Restart a Heart Day. 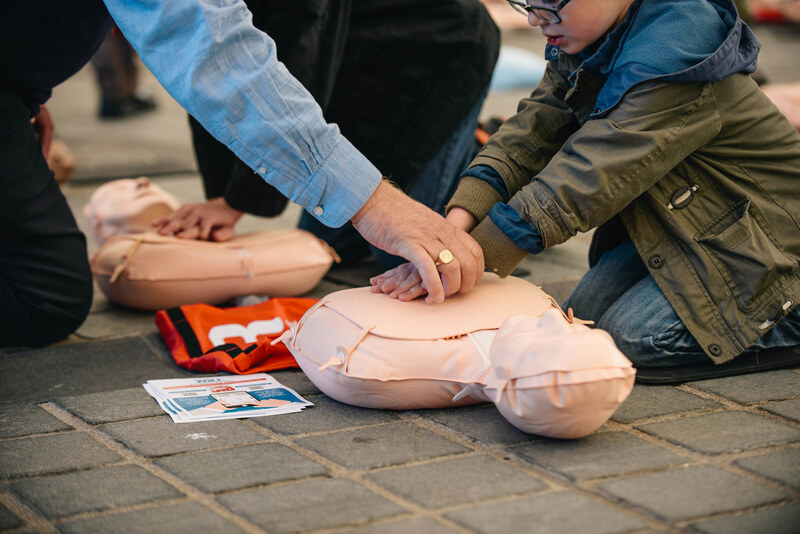 Volunteers working with the Save a Life for Scotland Charity will be on-hand to teach CPR skills to staff, rail customers and station visitors. Armed with dummies, they’ll teach techniques and answer questions around administering CPR. The volunteers will be in these stations from 12-3pm on 16 October. This day of action is part of the charity’s stated aim that by 2020 there will be 500,000 people in Scotland trained to administer CPR in the event of someone having a heart attack. Since an untreated heart attack could potentially lead to a cardiac arrest, learning life-saving skills such as CPR could make the difference to a patient and their families. Every year around 3500 people are treated for an out-of-hospital cardiac arrest by the Scottish Ambulance Service. The ScotRail Alliance’s director of safety and sustainability David Lister said: “We are pleased to support the work of Save a Life for Scotland. We place huge importance on keeping our customers safe and well and anything we can do to make sure everyone’s prepared if there’s an emergency on our trains or in a station is vital. Lisa MacInnes, National Programme Manager for Save a Life for Scotland said: “We are so grateful to ScotRail for their support of the campaign and for providing their customers with the opportunity to learn this life-saving skill.